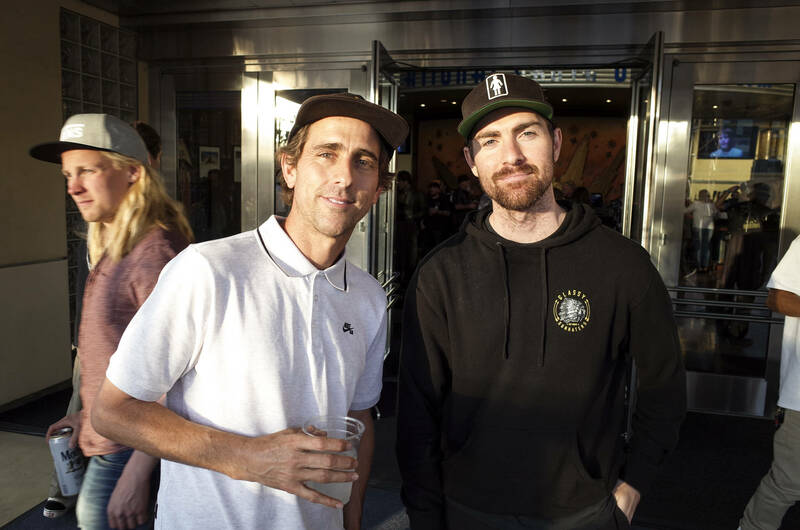 Lance Mountain and Guy Mariano. 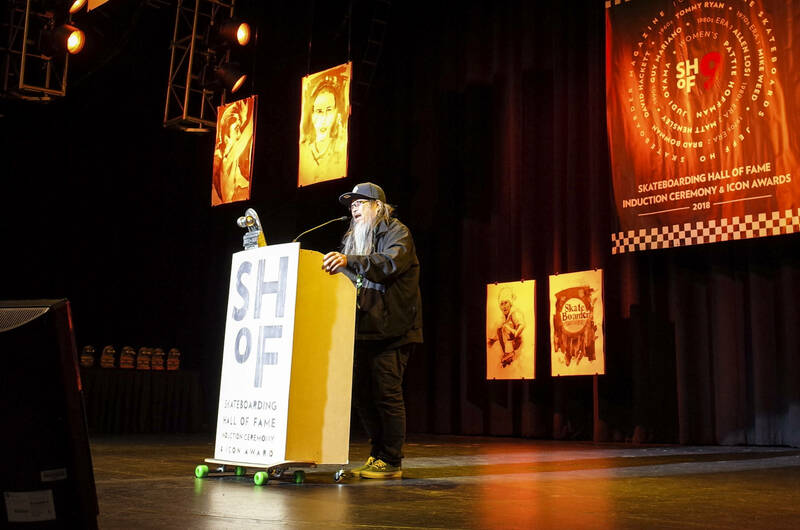 We attended the 9th Annual Skateboarding Hall of Fame last night and fanned out on four decades of greatness from Jeff Ho to Hensley, and Mariano. This is the second year the event has been open to the public and if you haven’t been yet, we highly recommend it. 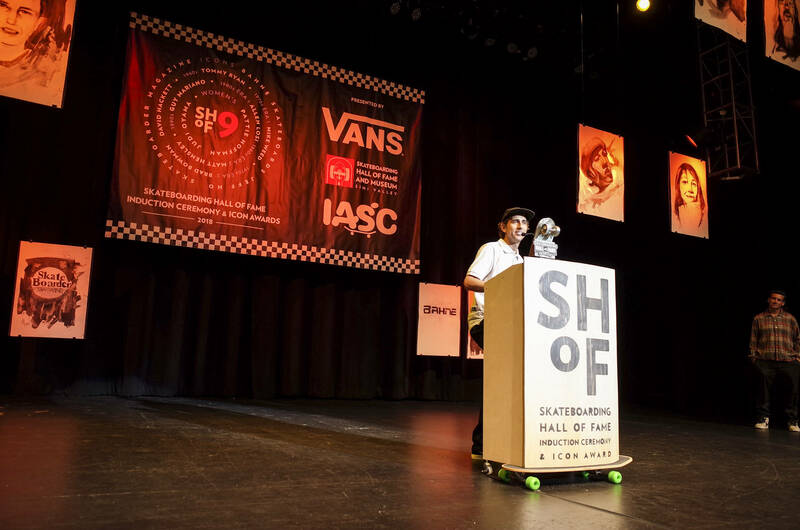 It’s a special feeling to share the passion and comradery for skateboarding among multiple generations of skaters all under one roof. 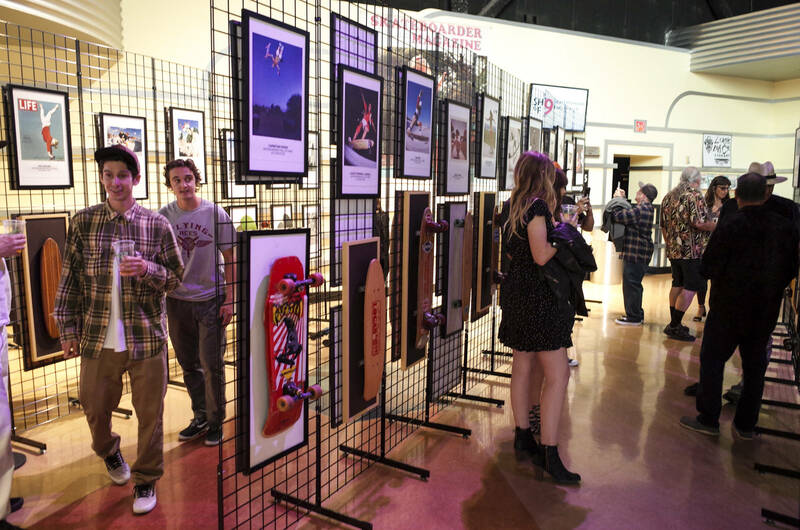 Proceeds from the night benefit the not-for-profit efforts of the Skateboarding Hall of Fame and the Go Skateboarding Foundation. 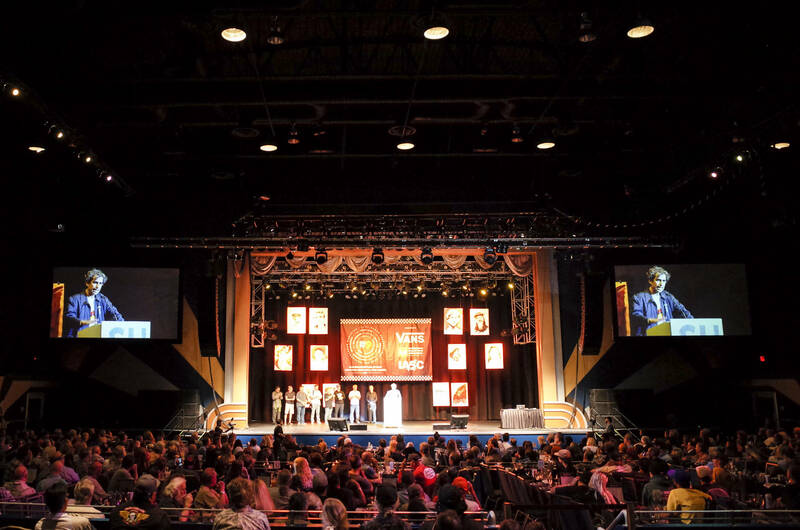 2018 Icon Awards: Skateboarder Magazine, Bahne Skateboards, and Jeff Ho. 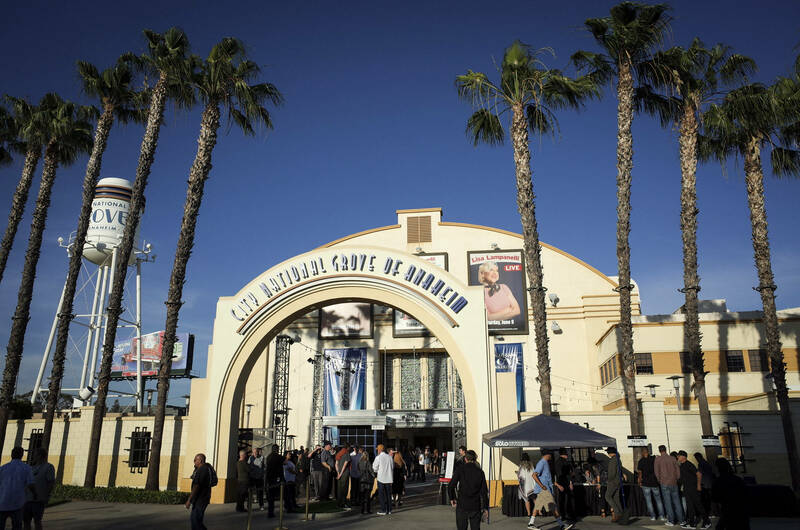 The Grove of Anaheim was the venue for this year’s Skateboarding Hall of Fame. Foyer photo ops and cocktail hour. 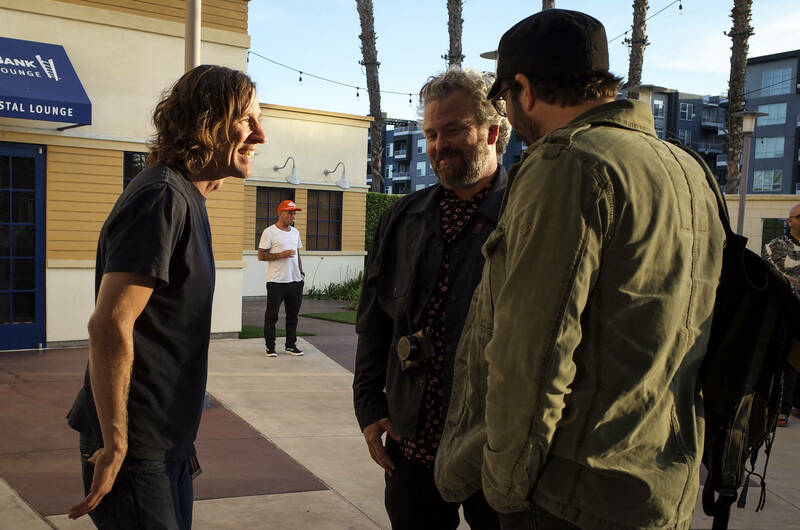 Rodney Mullen sighting straight out of the gates. 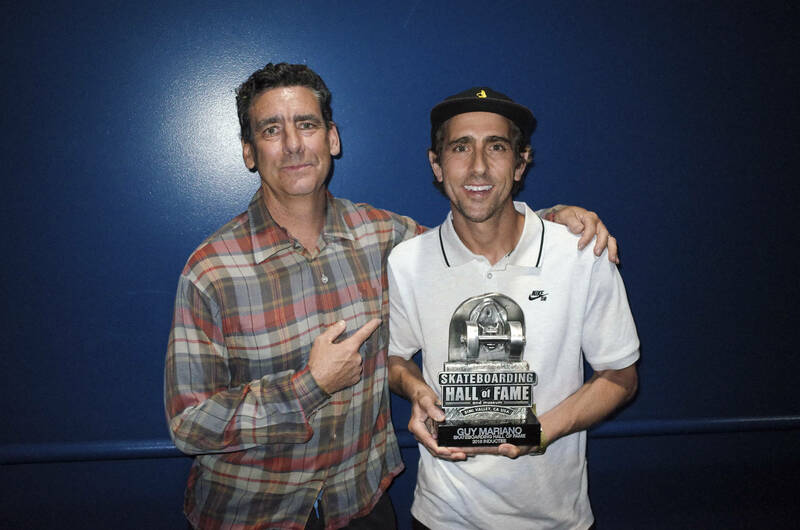 SHoF inductee Guy Mariano with Mike Mo. Inside was a cool display of photos and product from past inductees throughout the years. 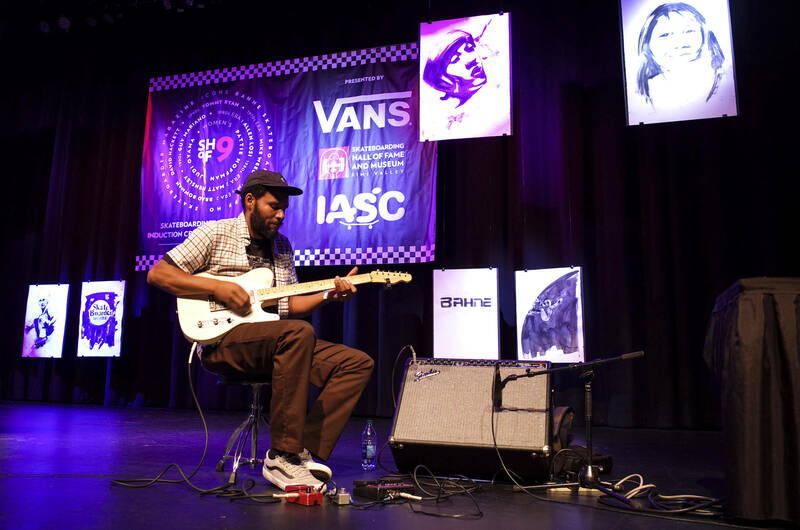 Ray Barbee set the mood for the evening. On stage with the original legendary photographer Glen E. Friedman. 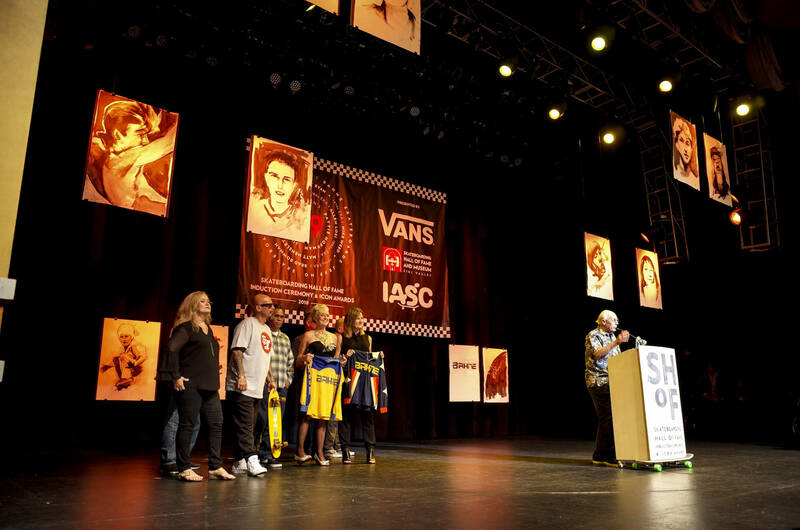 Jaime Owens introducing Skateboarder Magazine and it’s OG staff for the Icon Award. 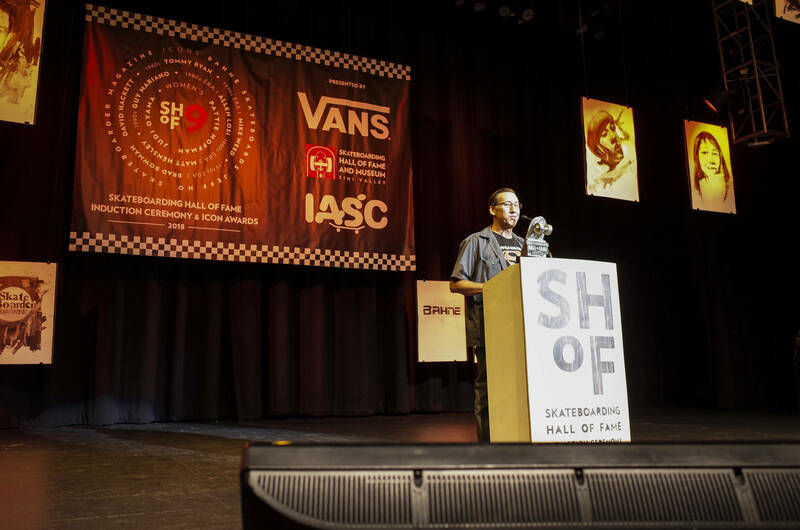 2018 Icon Award recipient Jeff Ho from Zephyr skateboards. 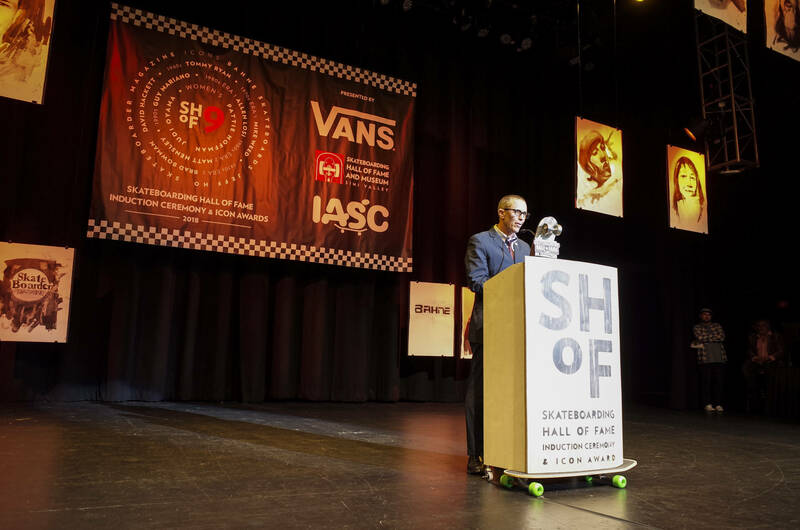 Bahne skateboards also received an Icon Award. 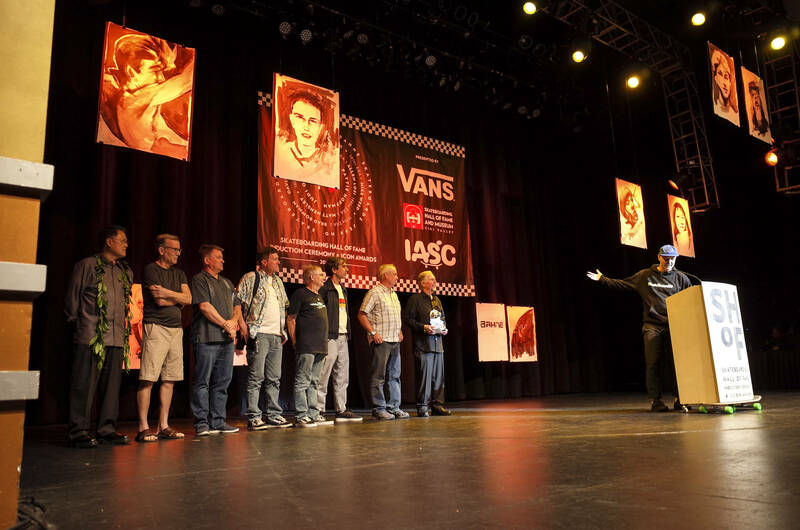 Allen Losi being inducted and received his award from Jeff Grosso. 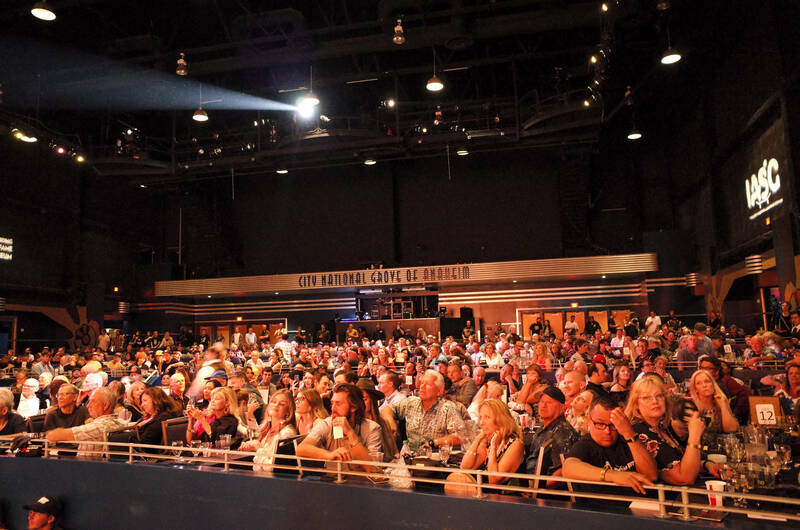 It was a packed house with VIP tables up front with plenty of seats and standing room in the back. Matt Hensley was officially inducted this year. Tribute to those we lost this year. 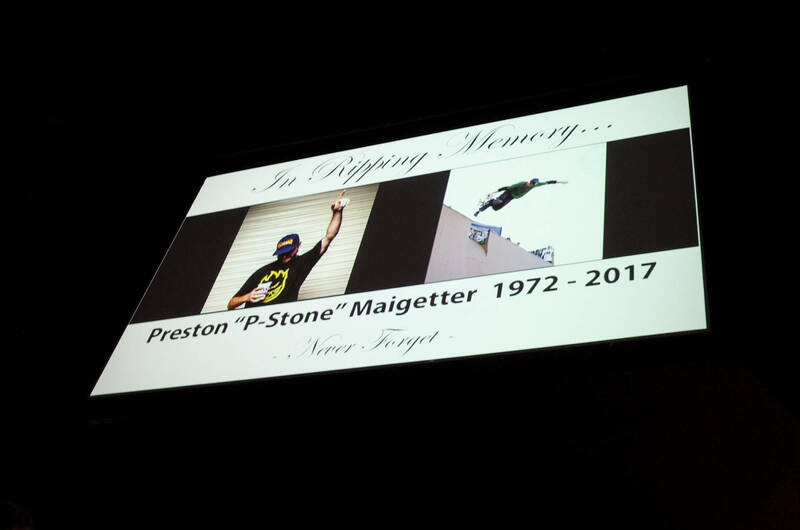 RIP P-Stone. Guy Mariano with yet another ender. Congratulations Guy! In case you missed it go and read our Interview with Guy Mariano.